Prepare to be amazed!!! 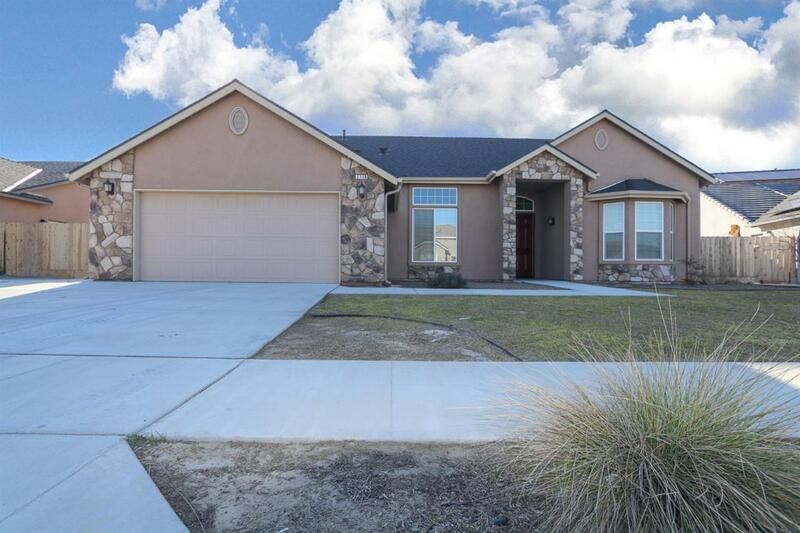 Move in ready home located in new gated sub division in Kingsburg. Vaulted ceilings with an open floor plan flood this home with natural light. Large kitchen (stainless steel appliances and granite counter tops) & casual dining area. Open family room with large windows that over look the backyard. The 3 guest bedrooms are large and bright. Elegant master suite with walk in closets and door that goes out to the back yard. Dual sinks in both bathrooms and large shower and separate tub in master bath. Laundry room with sink. You must see this one! New construction is still being built within development for much more. Save your money and get instant equity and buy this beauty. The builder warranty is transferable. Listing provided courtesy of Christopher Cissel of Coldwell Banker Premier R. E..